In general terms, the Romans coined the name 'Gaul' to describe the Celtic tribes of what is now central, northern and eastern France. The Gauls were divided from the Belgae to the north by the Marne and the Seine, and from the Aquitani to the south by the River Garonne. They also extended eastwards, into the region that was becoming known as Germania. The Celts had ruled much of this in their heyday, but by the middle of the first century BC they were fragmented, and were either in the process of being expelled by the increasingly powerful Germanic tribes who were migrating southwards from Scandinavia and the Baltic coast, or they were being defeated and integrated into Germanic or other tribes. The Helveconae were located between the rivers Viaduna (the modern Oder) and Vistula, in modern southern-central Poland. They were neighboured to the north by the Germanic Vandali and Goths, and generally by the Celtic Helisii, Manimi, Harii, Naharvali, and Osi, and to the west by the Boii, with the Germanic Semnones intruding from farther north. The Helveconae name is a hard one to break down. Remove the suffixes, '-on' (the Germanic and Gaulish plural) and 'ae' (the Latin plural), and the core word, Helvec, or Helvet, remains. This is very similar to the Helvetii name and to the core of the Helvii name. The word *selwā means 'possessions' in conjectural proto-Celtic. Helvetii minus the suffix would be Helvet. It has to be assumed that there was a shift from 's' to 'h' for the initial consonant, for which there has been a precedent in Celtic. The 'c' or 't' on the end is harder to work out. The problem with the 'c' is that its pronunciation is not known: is it a 'k' or a 'ch'? If a 'ch' then a slight shift to a 't' is possible, especially if followed by an '-ion' or '-on' suffix. If this conjecture is correct, then the names may indicate the same tribe in two different locations - Helveconae and Helvetii. In any case, the best guess is that the name means 'the owners'. The Helveconae (or Helvecones) may earlier have been located in central Germany (in the later region of Franconia). This is close enough to their first century BC location to be believable, but it is also where the Helvetii were picked up by the Cimbric and Teutonic migration of the late second century BC. As seen above, there is a marked similarity between the names, Helvetii and Helveconae (without all the suffixes), so it seems very possible that these people formed a single tribe until the migration. Left behind in Germany, the Helveconae appear to have been a major local tribe (in terms of population), but very quickly they were politically overwhelmed by very aggressive Germanic tribes. If any of them survived to retreat into rougher terrain, then perhaps they formed part of the Galatians (later Galicia) of Poland. 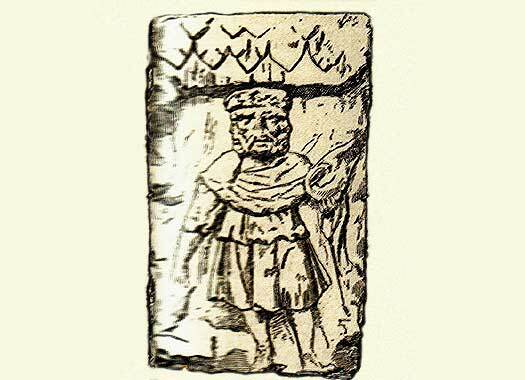 The Helveconae probably belong to the Hallstatt culture of Celts, along with the Bebryces, Boii, Cotini, Harii, Helisii, Manimi, Naharvali, Osi, and at least some elements of the later Lugii. They are to be found around the central German lands, and in Bohemia, Moravia, Slovakia, and the edges of Poland and Ukraine. Around this time a large-scale expansion begins that sees many Hallstatt Celts migrate outwards, towards northern Italy, Gaul, or Iberia. Many others remain, and control the region until pressure from newly-arriving Germanic tribes begins to erode their hold in the second and first centuries BC. A large-scale migration of Teutones and Cimbri passes through central Europe, and along the way it picks up Celto-Germanic Helvetii peoples who at this time are located in central Germany (in the later region of Franconia). Together this band enters southern Gaul and northern Italy, and comes up against the Roman republic. The resultant Cimbrian War sees initial Teuton and Cimbri success against tribes which are allied to Rome and a huge Roman army is destroyed at the Battle of Arausio in 105 BC. Consul Gaius Marius has been rebuilding the Roman forces while the Cimbri raid Iberia. Now the weakened Teutones are defeated and enslaved. 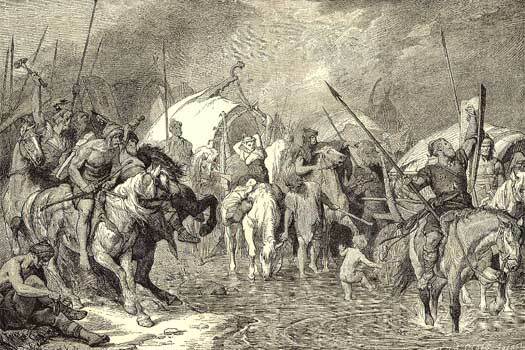 The Cimbri are similarly destroyed at the Battle of Vercellae in 101 BC. It could be this event which sees the remainder of the Helvetii who had joined the migration settle in south-western Switzerland, dragged away from their earlier homeland which is still home to the Helveconae, possibly their former fellow tribesmen. Ptolemy breaks the Lugii down into Lugi Buri, Lugi Diduni, and Lugi Omani. It seems plausible that the Manimi of AD 98 have some relationship to the Omani, based on the similar names, but of the Harii, Helisii, Helveconae, Manimi, and Naharvali there is no sign once again. Have they been absorbed into the larger Lugii collective, or have they drifted off elsewhere, never to be recorded again by history?